The Cooperative Program ought not be a sacred cow, but it is close to one for me. Began by Southern Baptists nearly a century ago, it has proven to be a most effective and enduring way to support our collective ministry and mission work. I often visit with leaders of other evangelical denominations who are envious of the Cooperative Program. And they should be; there is nothing like it in American Protestantism. I was reared in a Southern Baptist church, so I grew up with a general awareness of the Cooperative Program. But, it was not until I sensed God’s call to ministry that I became fully aware—and fully appreciative—of the Cooperative Program. As a seminary student, I was astounded by how affordable my seminary training was compared to other evangelical seminaries. 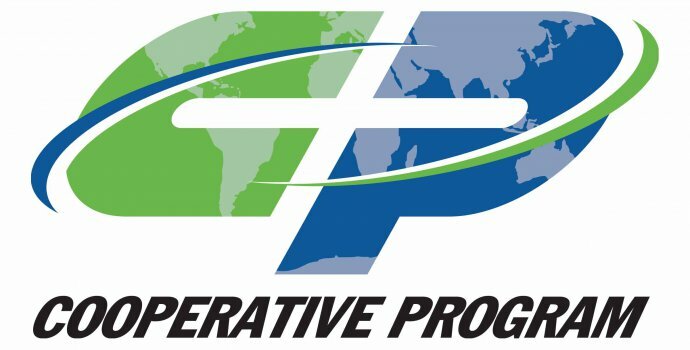 While a student at Southern Seminary, I learned more intimately how the Cooperative Program worked, felt how much it helped me, and saw it impact the world by providing for our missionaries. It was during this time that I became a true believer. Then, as a pastor, the two churches I had the privilege of leading gave 14% and 10% of their undesignated receipts to the Cooperative Program. The first church grew exponentially, and we flirted with cutting our CP giving to hire additional staff. But we held firm. My second church, conversely, had to trim its budget on a couple of occasions. Cutting CP would have been the easier way to balance the budget, but we held firm then as well. I had come to value the Cooperative Program enough that I advocated against cutting it. Thankfully, in both churches, the CP won out and we kept our giving at its high levels. Now, as a seminary president, I lead an institution that benefits daily from the Cooperative Program. Without it, we would be forced to double tuition on our students. Such a move would decimate the seminary, plunge the enrollment, and bring immediate and long-term financial hardship on our students. In the world of theological education, the six SBC seminaries stand as grand anomalies in size, support, and overall strength. The Cooperative Program is essential to this vitality. Though the Cooperative Program has been proving itself since 1925, we cannot take it for granted. We neglect it or minimize it to our own peril. Without a robust CP, our work as a whole will suffer. With a robust CP, our collective ministry and mission can more flourish. That is why we must work in our generation to strengthen the Cooperative Program. Consider these three observations to that end. First, like our denomination as a whole, the Cooperative Program is best led by pastors. The uptick in Cooperative Program giving in recent years is a direct result of past SBC president Ronnie Floyd’s efforts to this end. He strategically worked with pastors, encouraging them to strengthen their CP giving. Thankfully, recent SBC president Dr. Steve Gaines continued that same emphasis. Perhaps no single factor will determine the strength of the CP in the years ahead than how much our pastors believe in and advocate for the CP. Second, those of us who serve in CP-supported entities must constantly give SBC churches good reason to support us. This is true at every level of denominational life: local, state, and national. We exist to serve the churches; they do not exist to serve us. We need to ensure that our churches continually see the benefits of their entities working for them. As our churches find in us skillful, faithful, and responsive service, surely we will find from them sufficient support to do our work. Third, all of us must be careful how we posture and speak of Cooperative Program giving. If a church is evaluating or trimming their CP support, let’s not cajole, pressure, or shame them. That is not a winning strategy. My assessment is not a pragmatic or political calculation. It is a biblical and theological one. Christ promised to build his church, not our denomination. Let’s clean up our vocabulary, and use words like “please” and “thank you,” and shelve words like “should” and “must.” The Southern Baptist Convention agencies and our state convention partners serve the churches, not the other way around. As we serve them, they will support us. Southern Baptists’ persistent generosity through the Cooperative Program is one sign of God’s continued hand on our work. In denominational circles, it is a modern miracle. Through the missions and ministries of the SBC, we have together impacted the world. Let’s continue to celebrate and strengthen our collective work.